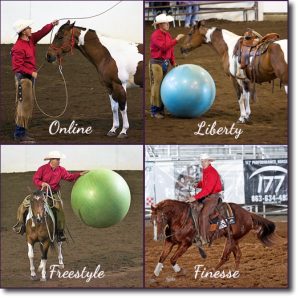 The Parelli Natural Horsemanship Program is designed to teach people how to teach their horses. 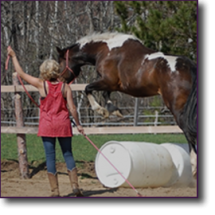 To be a good teacher for a horse, you have to think like a horse so you can present things in a way he/she will understand and appreciate. 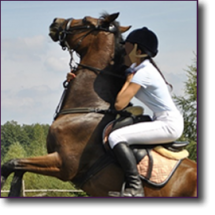 Parelli is based on understanding the true nature, instincts and learning behaviours of horses. 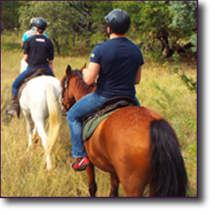 It teaches the human to become a horseman, step by step. 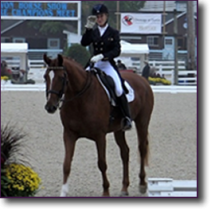 How can we help you and your horse?